DAVID LE/Staff photo. 4/30/15. 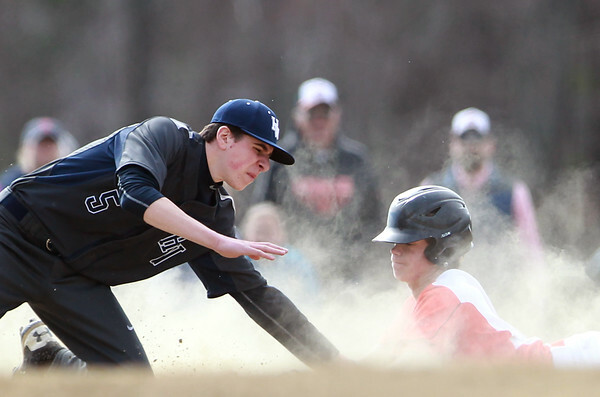 Hamilton-Wenham third baseman Mark Vivenzio (5) lunges and tries to tag out Ipswich's Jayson Galowski as he slides safely into third base. Galowski doubled in teammate Danny Bennett and advanced to third base on the throw to home.